Happy Wednesday, loves! So sorry for the slow turnaround this NYFW. To be honest, I was not expecting such a hectic season and was definitely not expecting back to back shows. 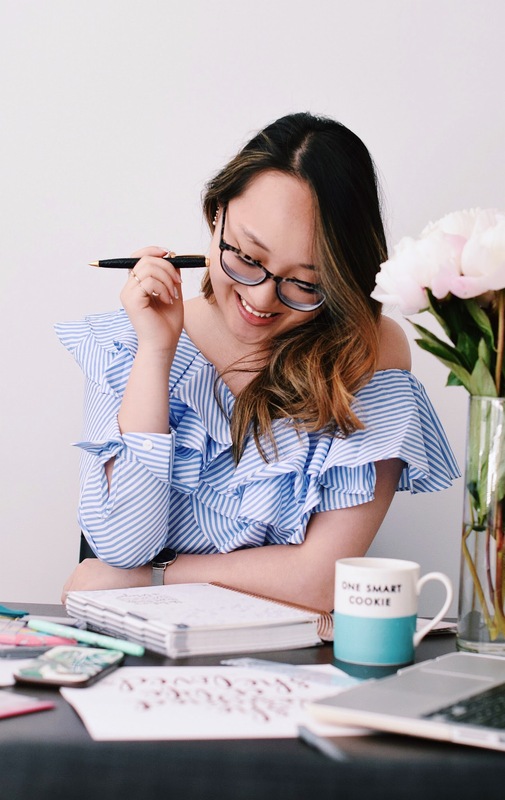 Many apologies if it seems like I've been neglecting the blog as of late--but honestly, it's because I am literally running around the west side of New York trying to catch as many presentations and events as I can. Cannot wait to share the highlights of my week a bit later (still compiling and editing through footage). But anyway, here's the first look that I put together to take on NYFW this season! It was insanely cold--honestly, I'm not sure what happened because it's literally been a mild winter EXCEPT for this week. It's like a greater force just knew it was fashion week and decided, "hm, let's make it 10 times harder for these people to be fashionable." >.< Made it through (just barely, haha) with the help of careful layering and repurposing certain pieces. This look was actually pretty warm, especially with a long overcoat on. The asymmetric fur embellishment was not just an accessory in this case, but actually helped fight the cold (somewhat). 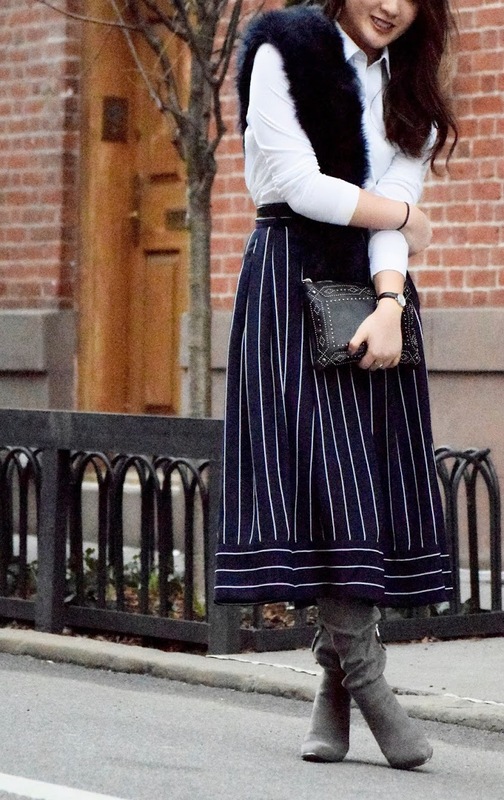 I am in LOVE with this pinstriped midi skirt! The pinstripes give the illusion of height by elongating the body...something that is always helpful when you have a petite frame. Paired with some over-the-knee boots and I was set to brave the NYC wind chill! Thank heavens the first day was not as brutal as some of the other days, so I was able to avoid frost bite despite shooting without a jacket for a good fifteen minutes. Cannot wait to share some of the other looks I've put together this season and trends I've been spotting on the runway. Plus a special little snow shoot (YES, SNOW SHOOT) headed your way in a couple of days!